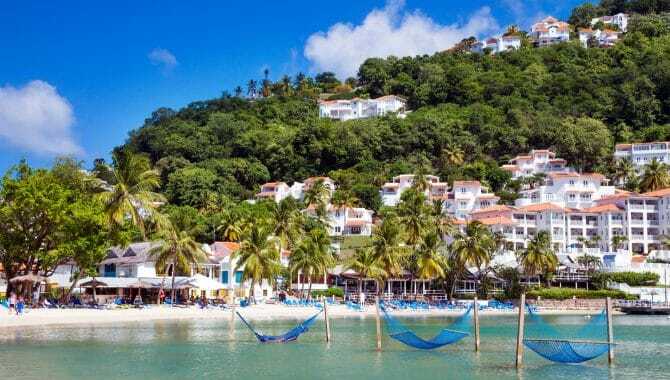 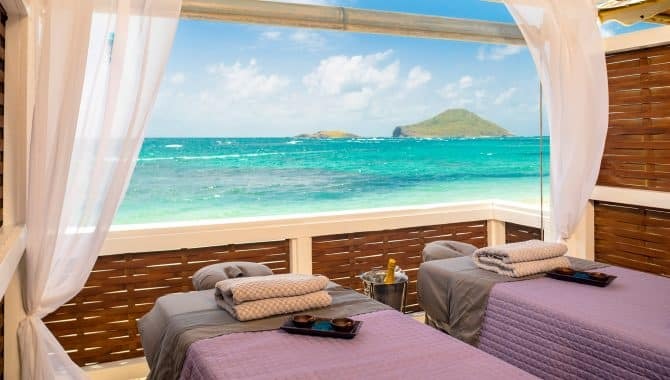 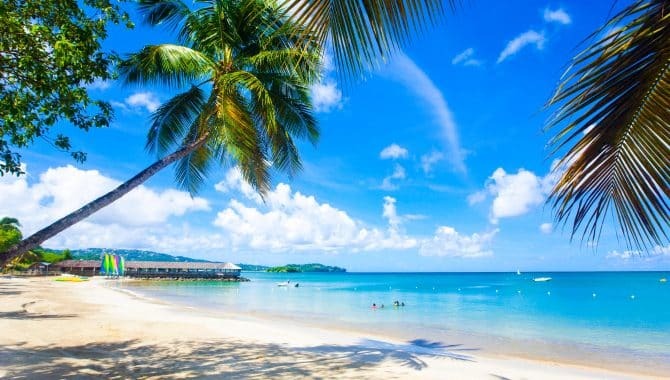 St. Lucia isn’t reserved just for couples—this mesmerizing Caribbean island has activities for all ages and beach hotels to match. 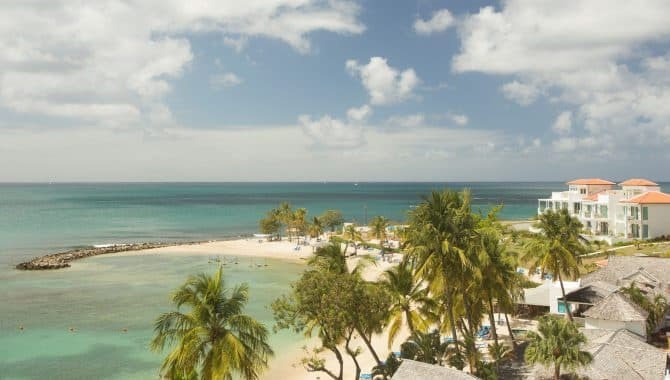 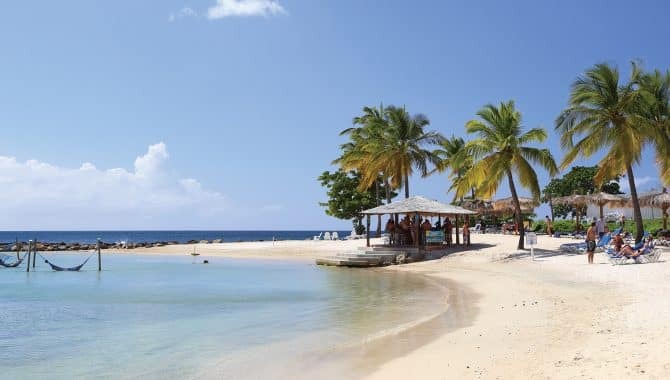 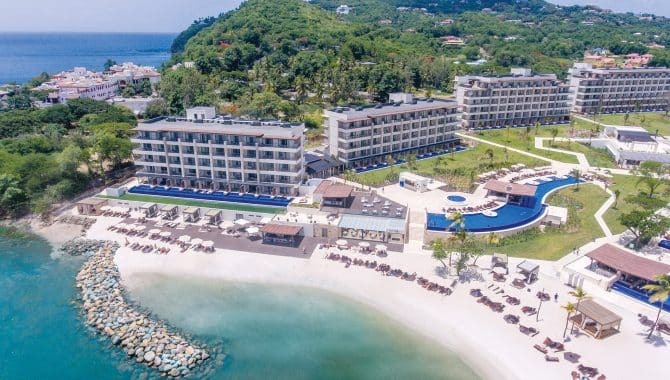 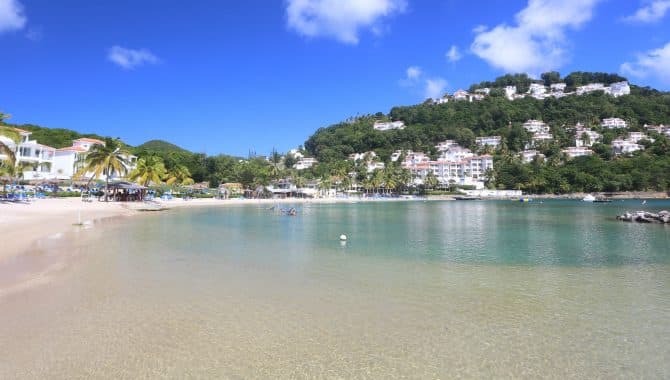 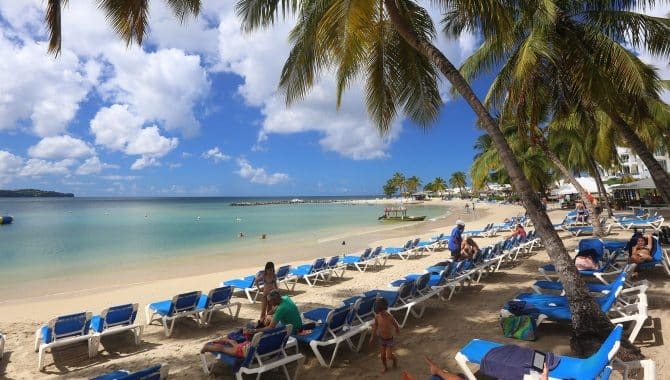 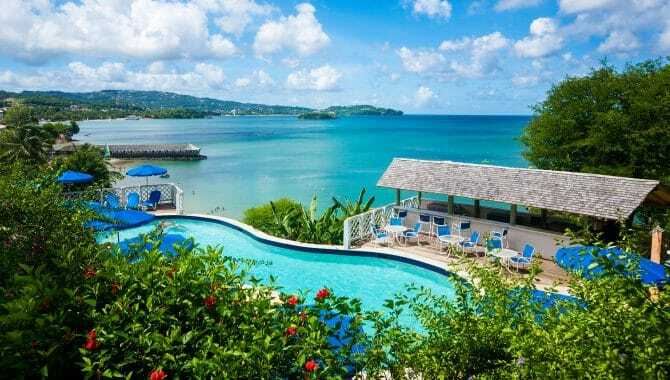 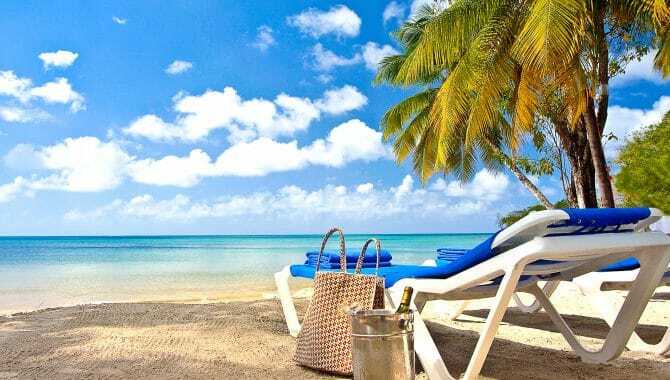 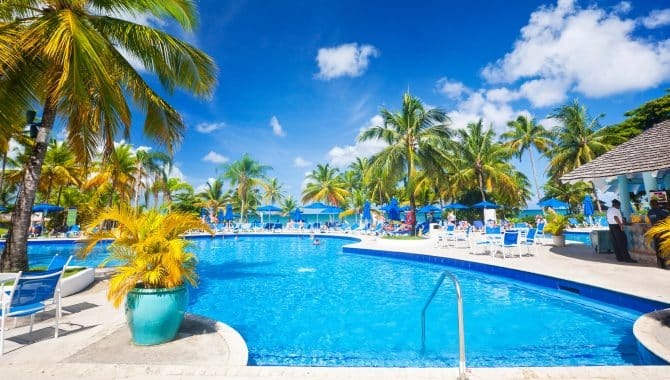 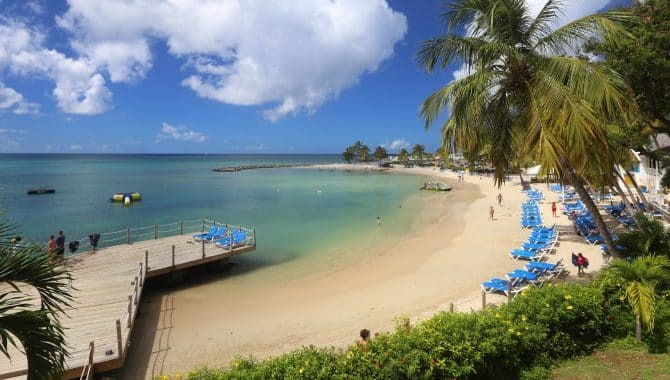 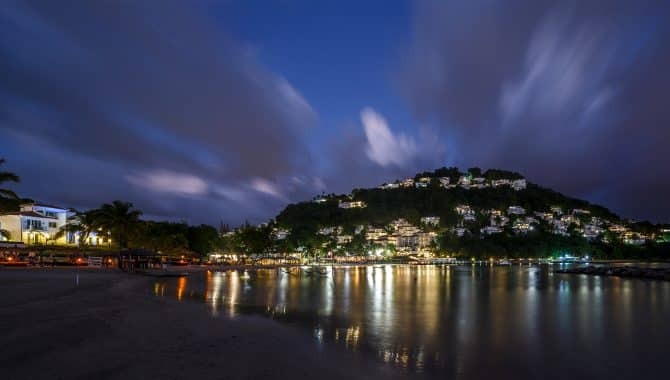 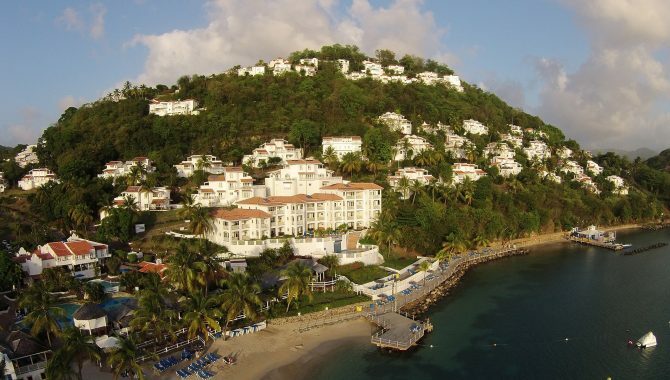 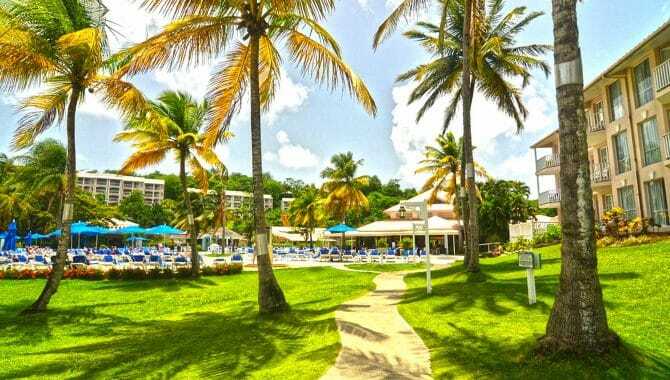 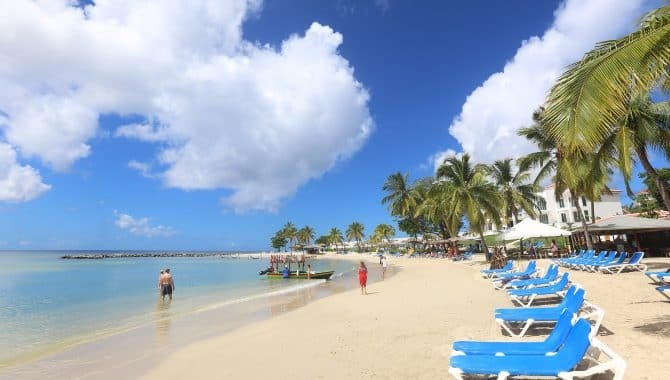 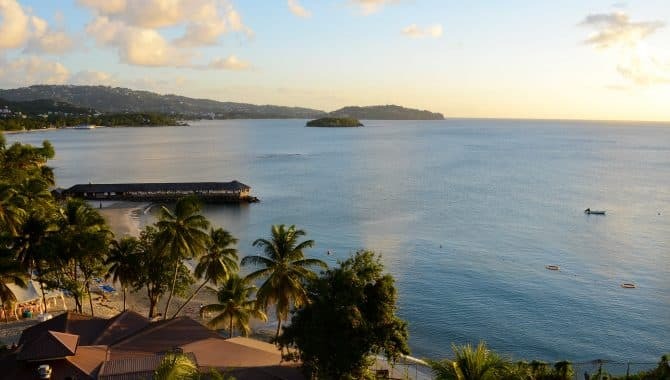 Staying at a family beach hotel in St. Lucia gives you access to all the island’s natural wonders, plus resort amenities both parents and kids will love. 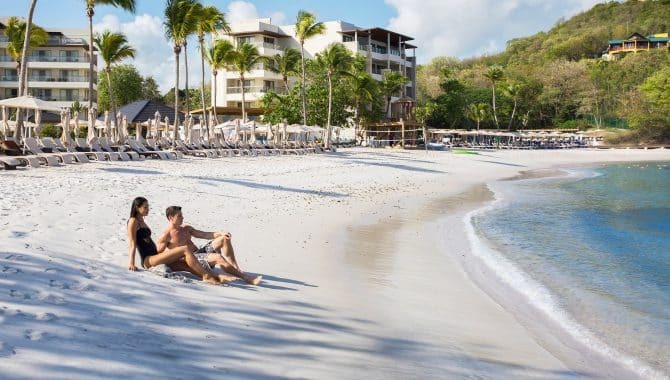 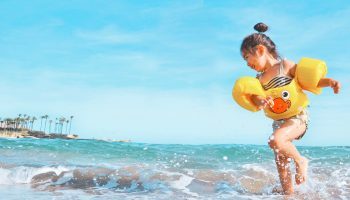 Enjoy a day out on the beach as a family, and when you want some alone time, drop the kids at a resort kids’ club while you enjoy a pampering spa day or romantic dinner on the beach. 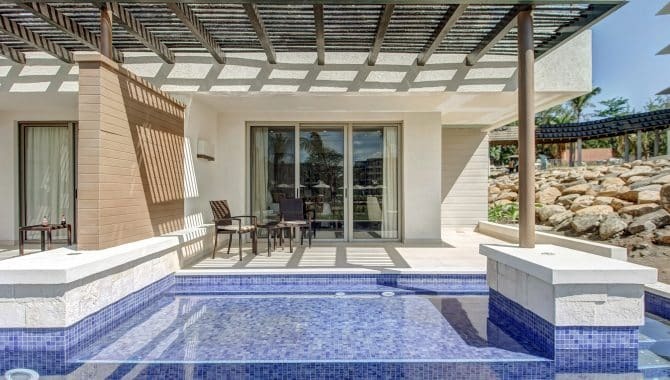 Spread out over 85 acres with a mile-long beach and five pools, there’s plenty of room to do exactly what you want—even if that’s nothing at all. 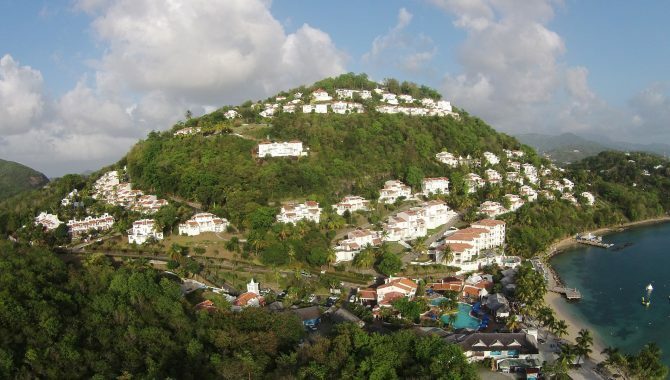 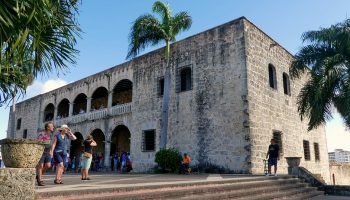 A series of four-story buildings house the resort’s 250 rooms—there aren’t many neighboring properties nearby and it doesn’t feel as touristy as other resorts on the island. 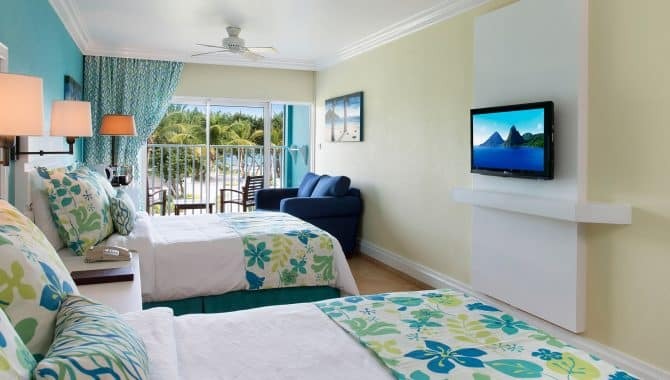 Most rooms come with one king or two queen beds, contemporary décor, furnished balconies and every room faces the grounds, pool and ocean. 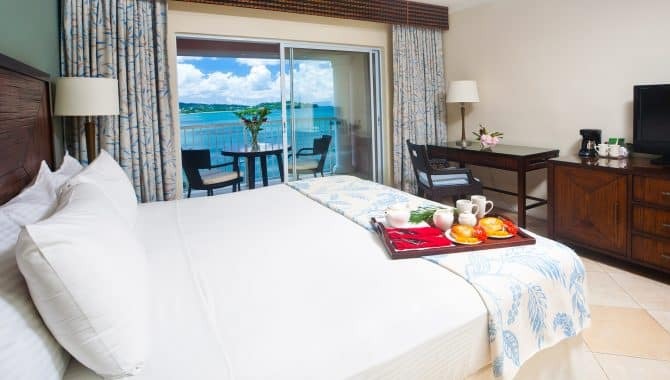 Splash Premium Ocean View and Concierge Premium Ocean View Suites have one king and two trundle beds, or two queen-size beds and a sofa. 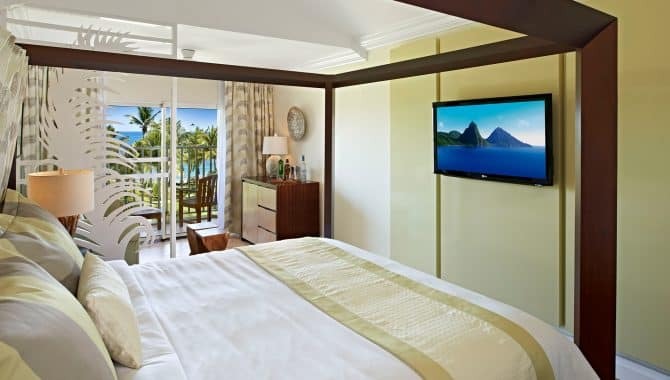 The Concierge Premium Ocean View Suites come with extra amenities, like evening turn-down service, stocked mini-fridges and first choice on dinner reservations. 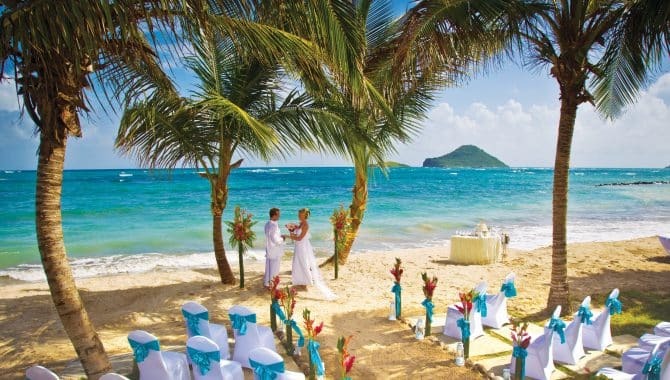 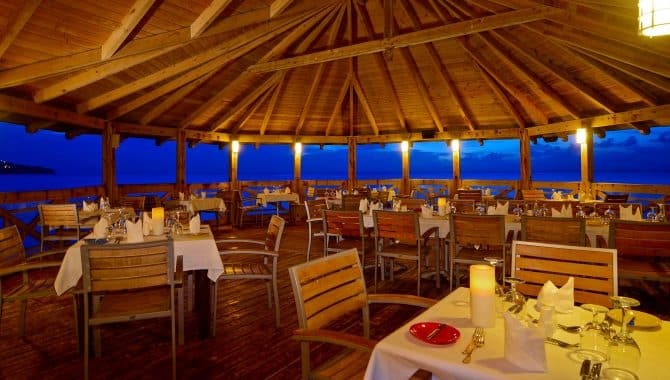 Coconut Bay Beach Resort & Spa has no less than nine on-site restaurants offering casual and fine dining, and oceanfront venues. 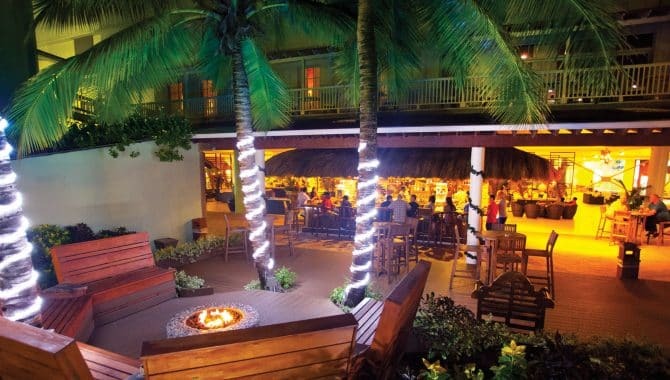 Choose from Asian, Italian, seafood, international, grilled favorites and more. 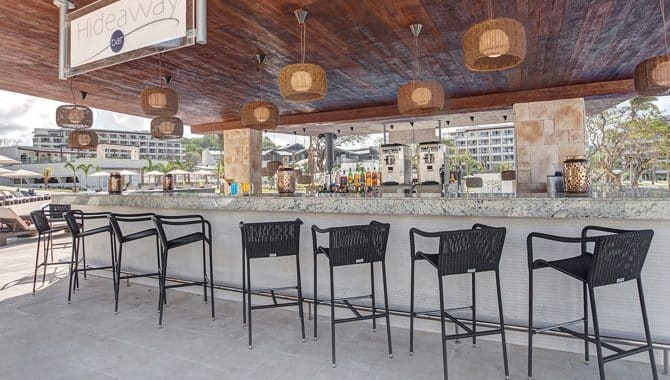 Seven bars—including a swim-up bar—are on the property as well. 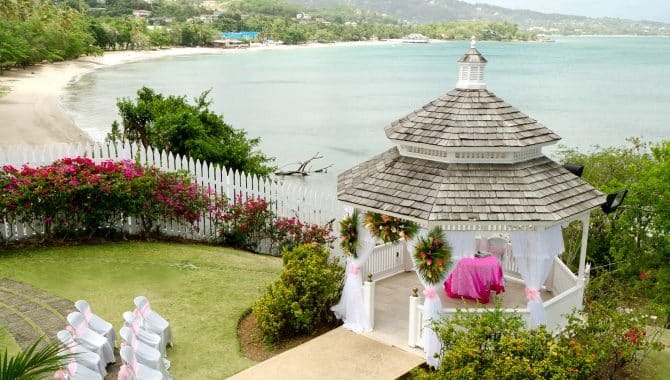 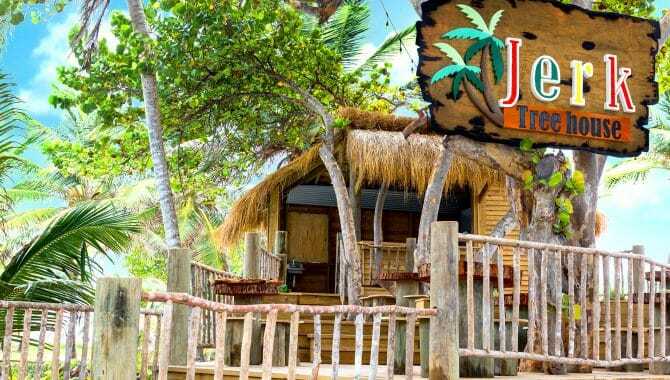 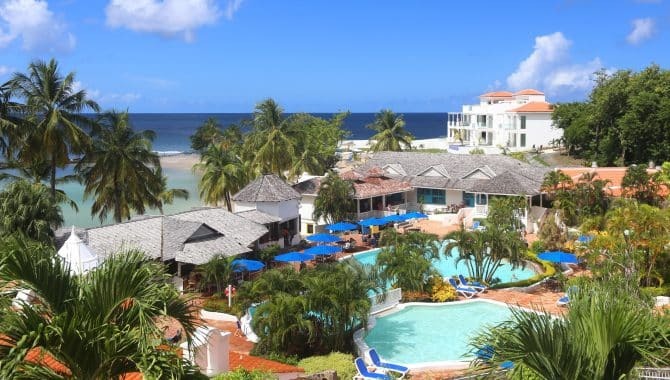 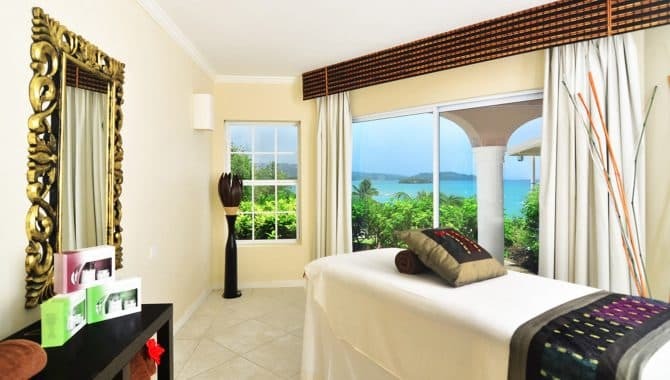 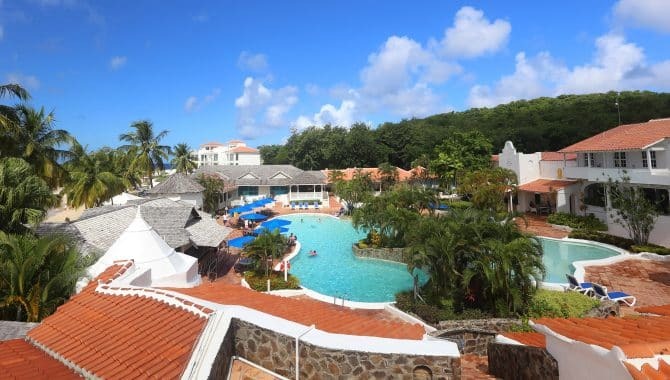 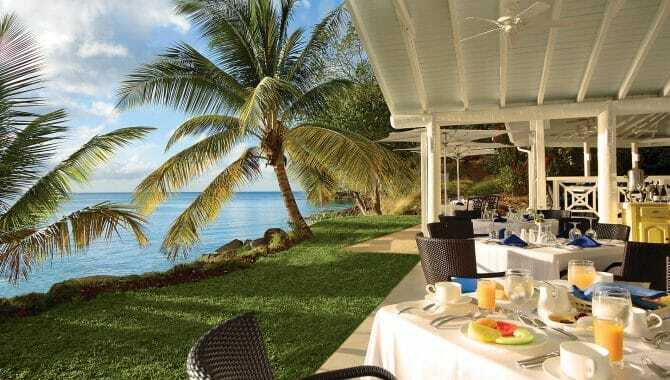 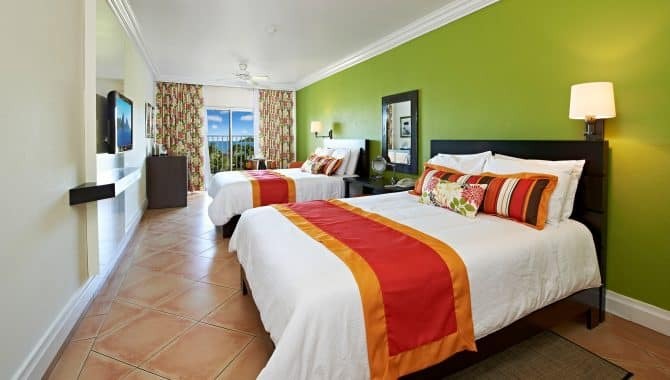 Welcome to the St. James Club Morgan Bay resort, situated right on scenic Choc Bay beach. 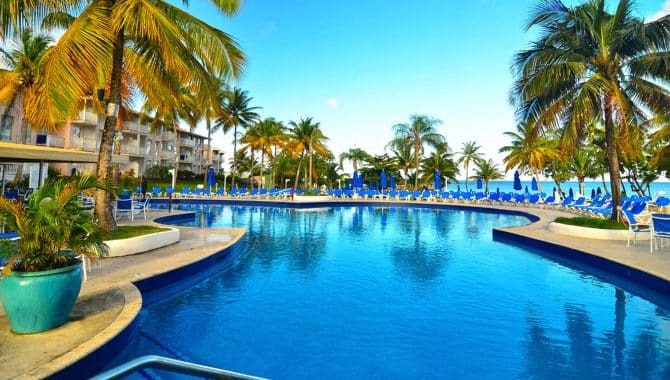 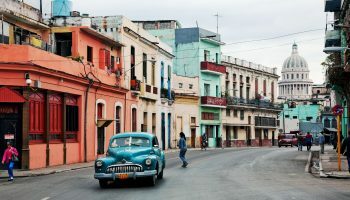 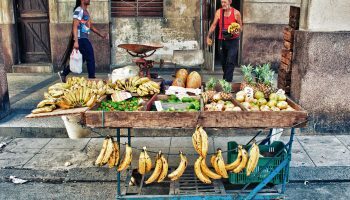 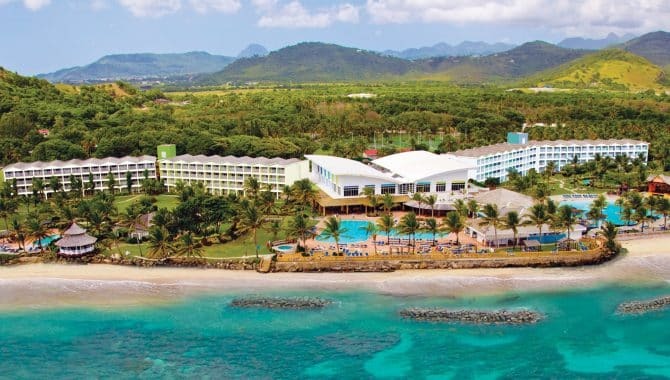 Choose an affordable all-inclusive package here and you’ll be well taken care of. 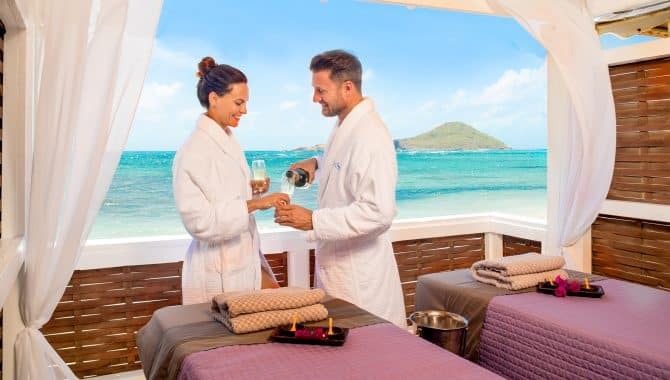 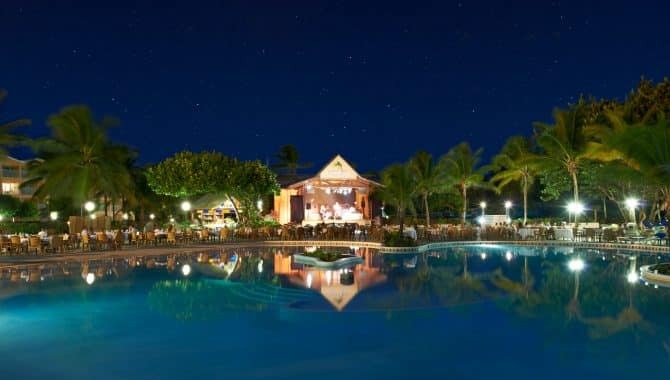 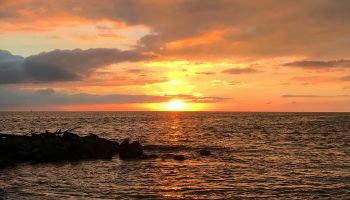 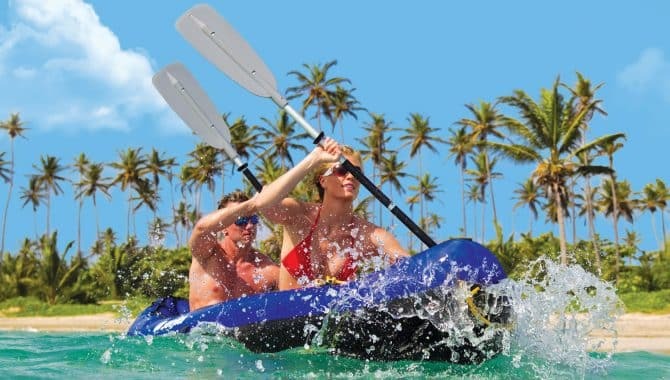 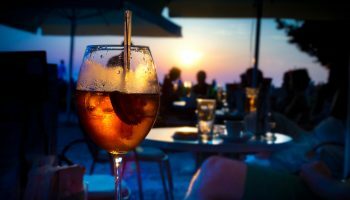 Rates include food and drinks, as well as a wide variety of activities and entertainment options like snorkeling and nightly music at the hotel’s Sunset Bar & Lounge. 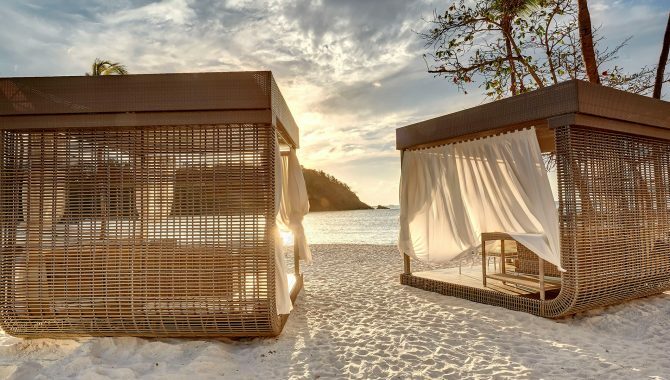 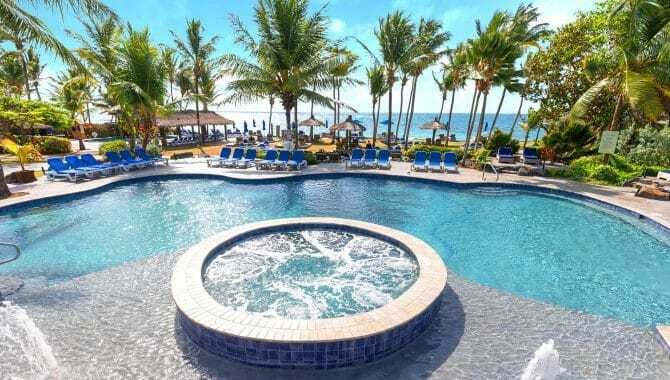 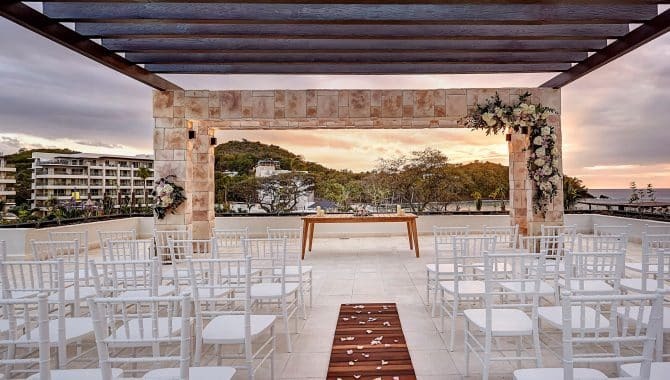 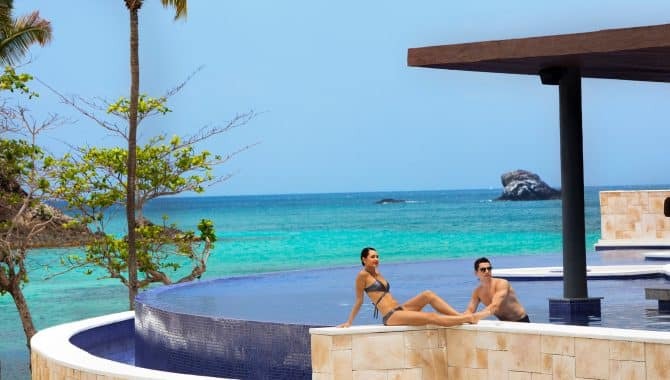 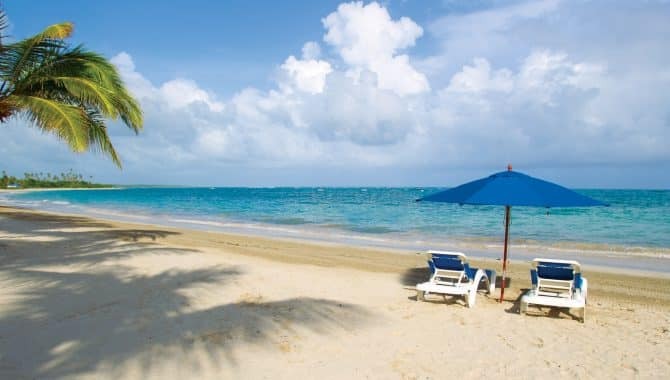 This allows you to sit back and enjoy the island scenery, whether you’re relaxing poolside at one of the property’s three swimming pools or lounging on the sands of the beautiful and easily-accessible beach. 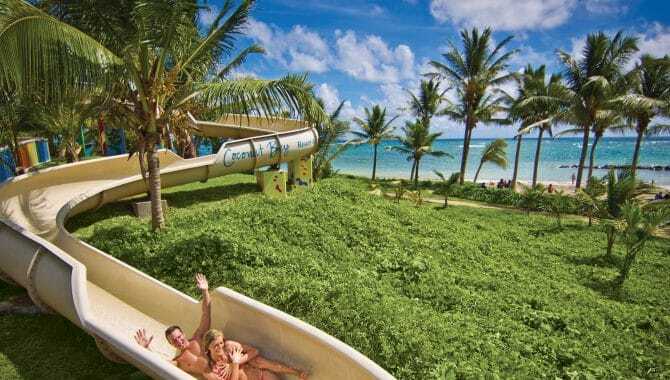 There’s also a third, family-friendly pool with a shallow wading area and plastic slides. 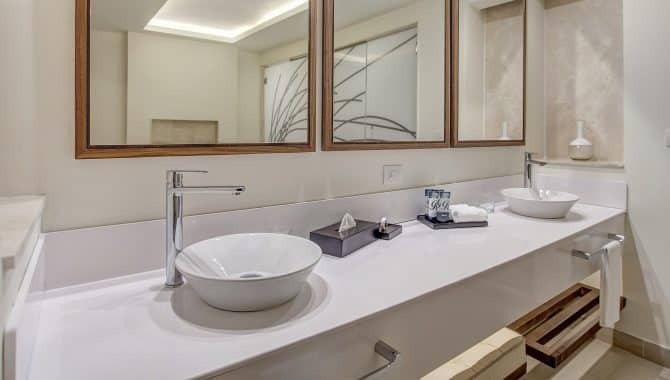 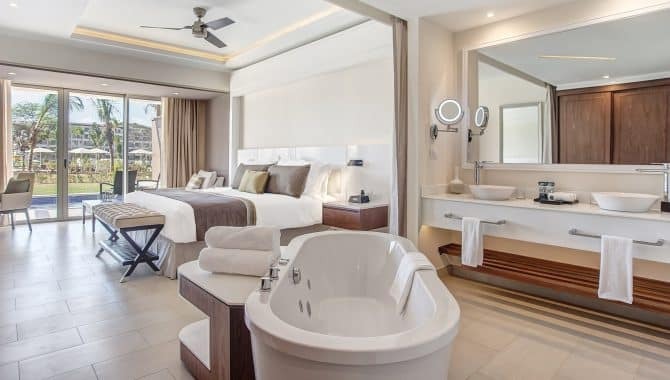 Rooms are, if not particularly exciting, comfortable and stocked with amenities like flat screen TVs, mini fridges and balconies or terraces with lovely views. 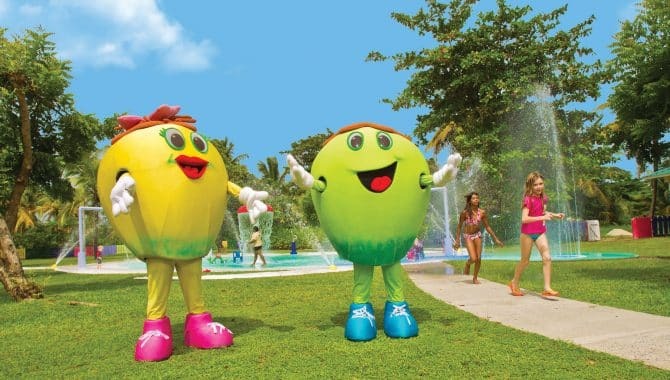 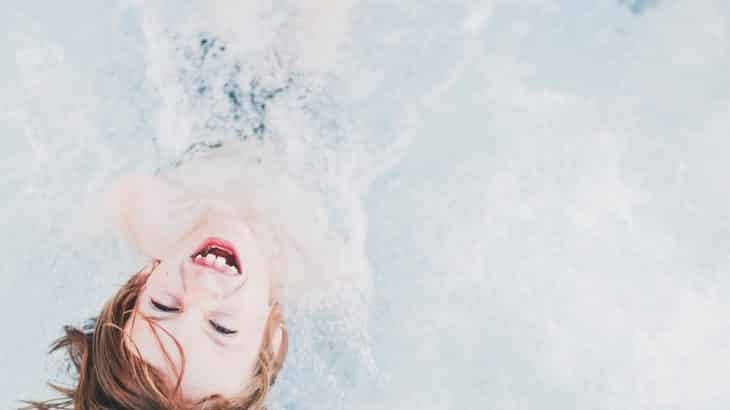 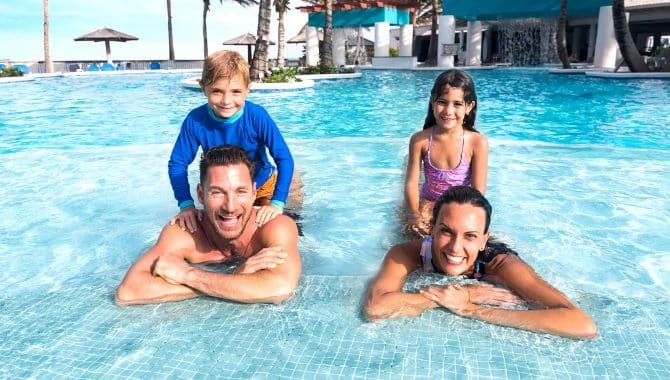 Active guests will want to check out the fitness facilities (and the spa), while younger visitors can enjoy the kids’ club, which keeps children ages 2-11 engaged with a rotating lineup of supervised activities. 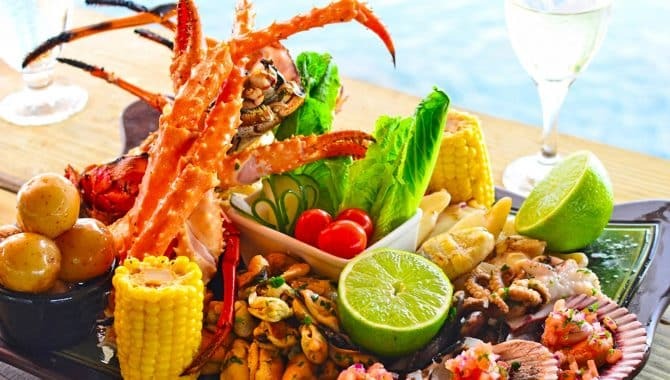 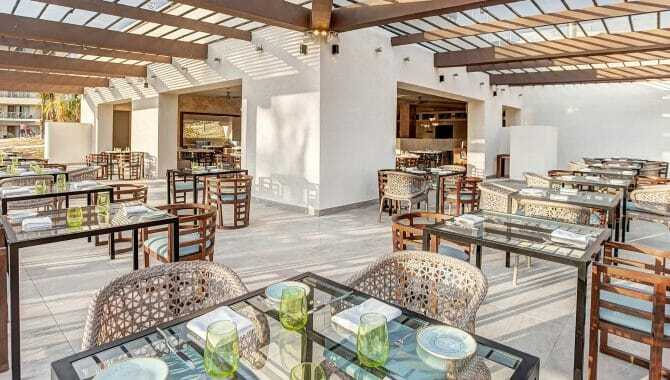 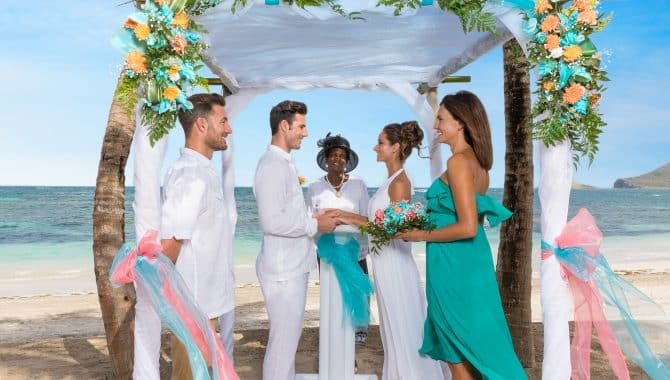 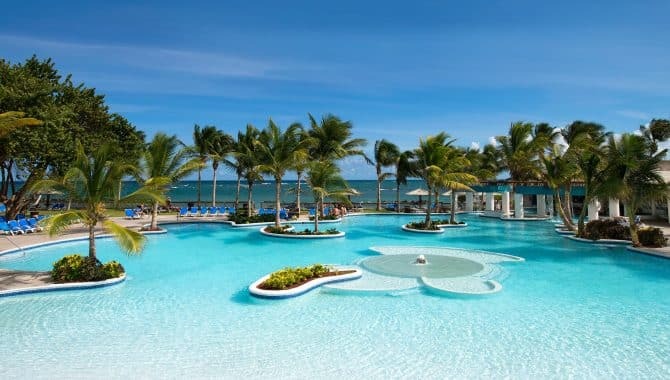 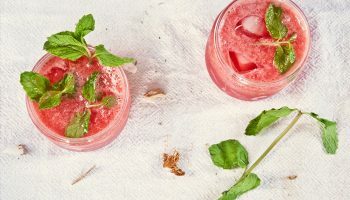 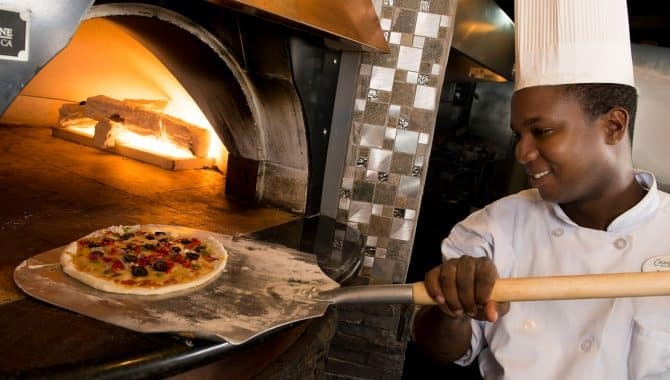 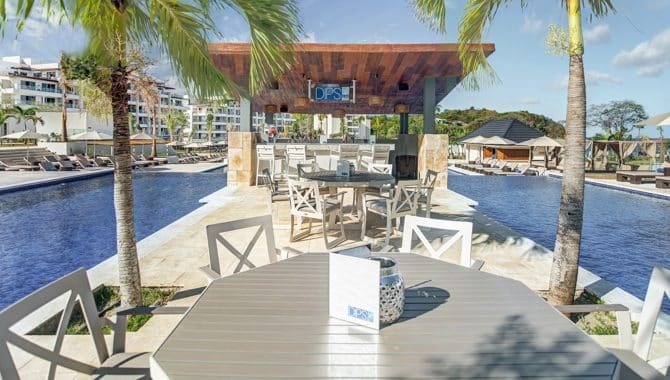 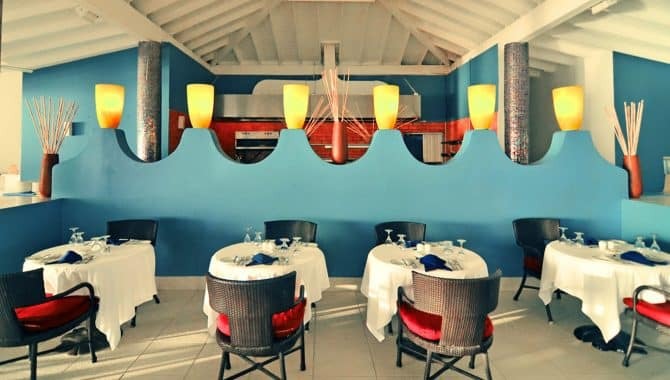 All-inclusive features also mean you can freely explore the resort’s six different dining options, like fresh seafood at waterfront Morgan’s Pier, Caribbean and Asian cuisine at Bambou, pizza and pasta at Tree Tops and casual fare at the poolside café, Plum Tree Grille.